This mid-week Change Interview features #Humansofchange Carl Heaton. 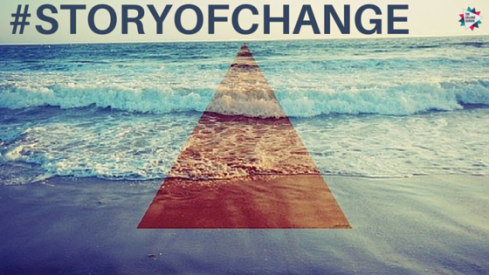 Read his great #Storyofchange below. 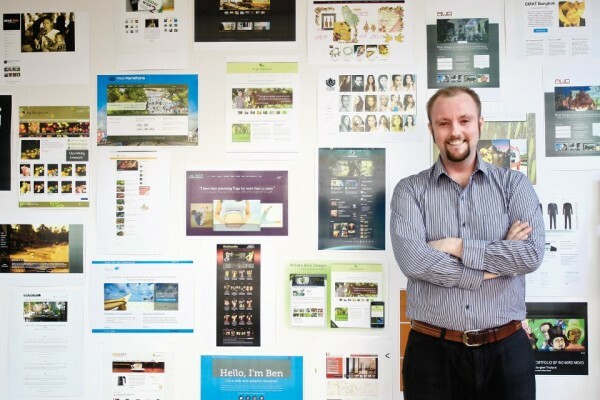 Driven by Carl’s high standards and attention to detail, WCB grew rapidly from a humble beginning with just 1 staff to become a leader in the field of IT training, offering courses in web design, graphic design and online marketing. WCB’s clients include everyone from homegrown startups to Coca Cola and the United Nations. Now an officially accredited school and internationally recognized training centre, WCB will soon be the only web training center to offer Education Visas and the company has recently expanded to include a design agency and jobs portal. A small change, to get us warmed up, was I was on the bus one day traveling to Prices Street in Edinburgh. Despite my life being great and the city I lived in; amazing, I was in a terrible dark mood. I felt like there was a cloud of darkness over me for a 23 year old it was not a good luck. I sat there revelling in this horrible feeling and even though I secretly wanted someone to come up and ask me what was wrong, I knew nobody cared. I suddenly had an epiphany. Nobody cares, it is up to me and I can change my mood in an instant if I really want to. So I did and I start smiling, my energy returned and all was right with the world. This changehas stayed with me since that day that you can change the world with your mood, so make it a good one. A big change was giving up my career to be a martial arts instructor and then giving up that dream to move to Thailand with a girl I met on the street in London who I will marry in November 2014. This was 8 years ago. So lets recap. I had been a web designer for over ten years and I had been studying Aikido for about five years. I realised that teaching Aikido was what I wanted to do so I quit my job and sold everything I owned that could not fit in a suitcase. As I was preparing to move to Paris to study under Master Daniel Toutain I saw a girl walking along the street as I was returning to Brighton from London. She was so stunning that I thought I would never forgive myself for not speaking to her. I pretended to be lost and said "can you tell me where Trafalgar square is? "No, sorry I can't remember" she replied politely. "Can I buy you a coffee while you remember" I asked with a cheeky smile....and it worked. We quickly fell in love and when she finisher her masters in Actor Coaching and training we moved to Bangkok together, her home town. I am still navigating :) Resources where definitely friends. I am very luck to have some amazing and inteligent friends who's opinions I trust over mine. Once they met Taya they felt she was a good person to do this adventure with. Other resources included Chichester College who gave me my TESOL qualification to earn a stable income before moving onto a job as a project manager and ultimately staring my own company. Jumping in a the deep end and moving to a country with a girl I had only been with 2 months and never set foot in the country before changed me immensely. I am now more bold and daring and this has helped me find the energy to setup my own company in a strange country that I am still trying to understand. McDonalds Big Mac, Scoozi Inferno Pizzas and I love the food by phone deliveries from Indus Restaurant. Okay, firstly do your research before moving anywhere. Have set goals based on this research and stick to them as this will help you navigate through the unexpected as you always know where north is. Lastly be humble and listen to others who are more experienced than you. Only give your time and friendship to those who you can learn from and feel good energy from. Too often I see people who hang around people with negative small minded views and cannot teach anyone anything. I only give my time to people who I can learn from in some way or another. This can also include being around someone who needs your help so you learn patience and giving. When you are going through change you need support and the best source of that is open minded, experienced people willing to help.